A potential deadly situation was diffused last month at Zuckerberg San Francisco General Hospital after convicted felon was able to bring a loaded 9 millimeter handgun and several rounds of ammunition onto the campus and was able to access the hospitals main facility. The scare led to safety procedural changes to the hospital. Sam Brock reports. A potentially deadly situation was diffused last month at Zuckerberg San Francisco General Hospital. NBC Bay Area has learned that a convicted felon carrying a loaded 9 millimeter handgun and upwards of 80 rounds of ammunition managed to not only bring that firepower on to campus, but also gain access to the hospital’s main facility, Building 5. "This actually was a very dangerous situation, and a significant threat to the public safety of the hospital," said Undersheriff Matthew Freeman, the second-highest ranking member of the San Francisco Sheriff’s Department. Freeman said an immediate and deft response from deputies, who help provide security services on hospital grounds, ensured the suspect was taken into custody without incident. "They used time, distance and shielding which allowed them to render the situation safe," Freeman said. "So, we’re very pleased with the way this turned out." The peaceful outcome could have been very different. Sedric Reynolds, the 38-year-old suspect booked into San Francisco County Jail on Feb. 7, faces 14 charges ranging from possession of a firearm by a felon, to large capacity magazine activity and possessing a weapon in a courthouse or public building. Court documents shed some disturbing details on the events that led to Reynolds’ arrest. According to a ‘Statement of the Facts’ in the motion to detain Reynolds without bond, prosecutors write that a witness, "Saw the Defendant point the handgun toward the doors in the hallway and ring the Psychiatric Emergency Services (PES) doorbell to gain entrance." The suspect was then "unwittingly afforded admission" to the middle room of a sally port, the documents show, before ultimately being apprehended by deputies. Rachael Kagan, a spokesperson for the Department of Public Health and Zuckerberg SF General Hospital, said this incident proves the staff response, hospital messaging and other protocols work. "'We have really been working to drill down on, 'If you see something, say something,'" said Kagan. An emergency services nurse saw the threatening situation unfolding and contacted another witness, urging that person to call 911, "while he would inform uniformed deputies of the lurking danger," per court documents. One witness observed Reynolds "toting a black handgun in his left hand," while another described him as "speaking rapidly with dilated pupils," appearing "restless as well as paranoid." Kagan told NBC Bay Area that the suspect entered the building through a public entrance off 23rd Street, which only requires security clearance after 8 p.m. Once through that door, however, Kagan said Reynolds did get into another room after "buzzing” for entrance, and then “ducking behind someone who was coming out." The situation spawned a security risk assessment by the hospital, and immediate changes. Kagan said the interior room in the sally port now contains a camera as well as an intercom. The hospital also revised its 'Code Silver,' or active shooter policy, to include any incident that involves a weapon on campus. Freeman added the Sheriff’s Department has a Chief Deputy Sheriff and a Sheriff’s Captain that meet with the Department of Public Health, "on a weekly basis to discuss a myriad of issues," including security protocols. "It’s a large campus, inner-city hospital and county trauma center," Freeman said, "which poses unique challenges that we’re presented with on a daily basis." 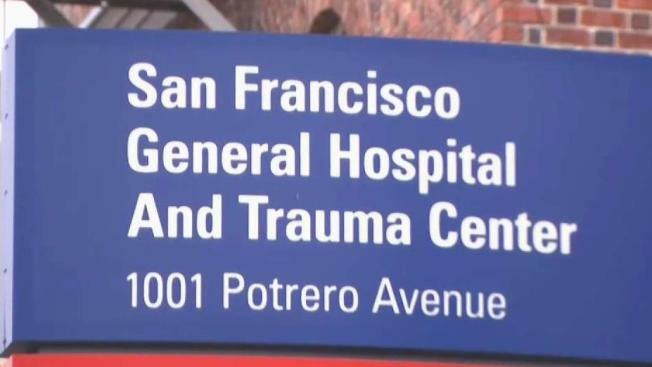 In his 28-year-long career with the department, Freeman mentioned he can’t recall a similar situation at SF General Hospital.